business signage has always been crucial for company branding and getting the word out about your offerings. Targeting the right audience and marketing your business the right way is extremely crucial for your business success. 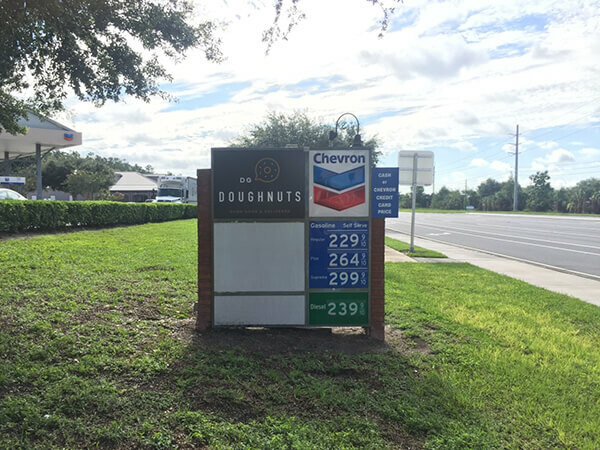 From monument signage that helps people find you easily and can be seen by a larger audience, to window graphics that catch the eyes of potential customers, draws them into the store and turns them into loyal customers, business signage has always been crucial for company branding and getting the word out about your offerings. 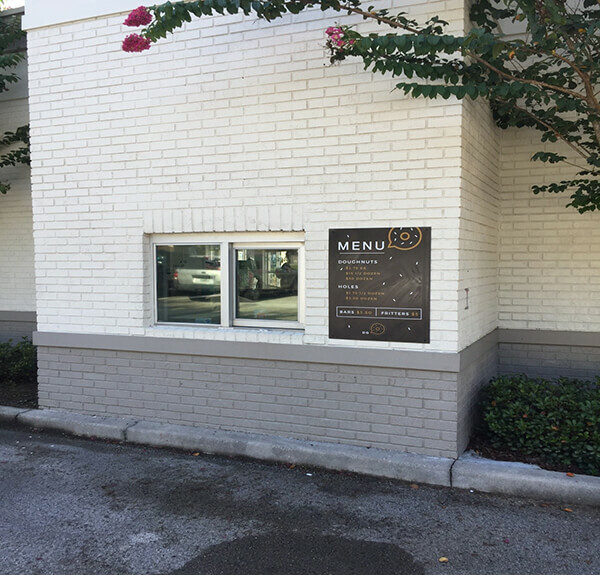 When it’s a small business that you are trying to get off the ground or make more people aware of its existence, custom designed exterior signage becomes all the more important as it helps reflect your company branding and boosts your visual marketing by making your business name visible 24 hours a day, seven days a week for quite a few years. 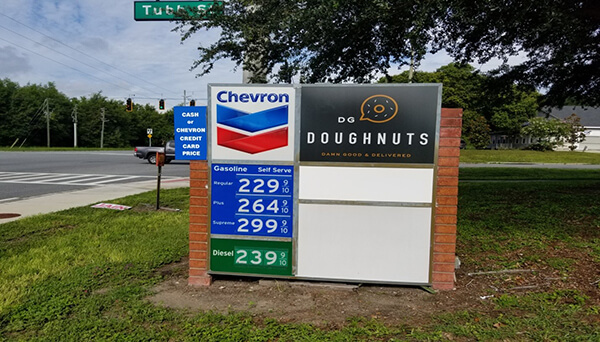 This time, Citrus Sign Studio helped a family owned doughnut business make its mark with carefully crafted bespoke exterior signage and window graphics. 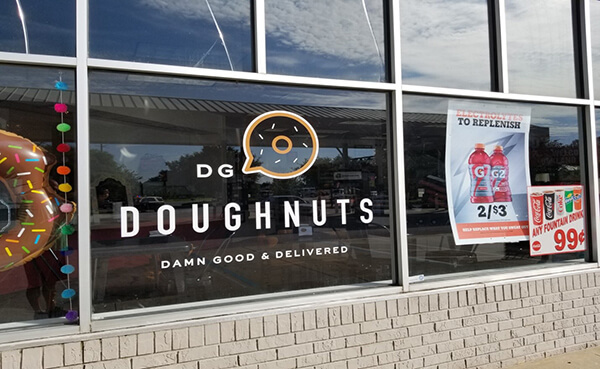 DG Doughnuts is a small family owned business in Oakland, Florida with a shop inside a gas station, and sells excellent quality doughnuts that people love tasting, even if they had to drive for quite some time to reach here. 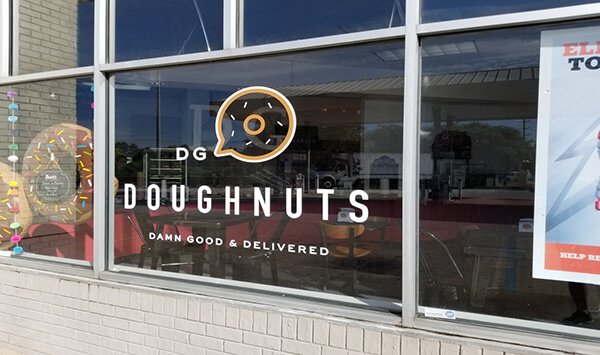 Often termed the best doughnuts that you will ever taste by its staunch supporters, DG Doughnuts has ensured delivering lip smacking doughnuts to its customers for years. But despite having developed a cult following in this part of the town, this small business had trouble finding an exterior signage company that would help them with their company branding and business signage needs. 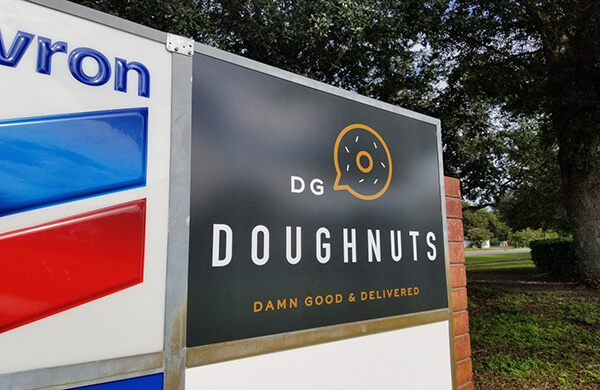 Thanks to a local contact of Citrus Sign Studio, we were put in touch with DG Doughnuts’ Amanda – the baker doughnut extraordinaire, and were able to handle her business signage requirements swiftly and competently. As part of her company branding process, Amanda needed some monument signage, window graphics, and external store menus. For monument signage of DG Doughnuts, we had to ensure they helped people identify the location of the business, and even gave those who will pass by the signs a glimpse of what was on offer (lip smacking doughnuts!). 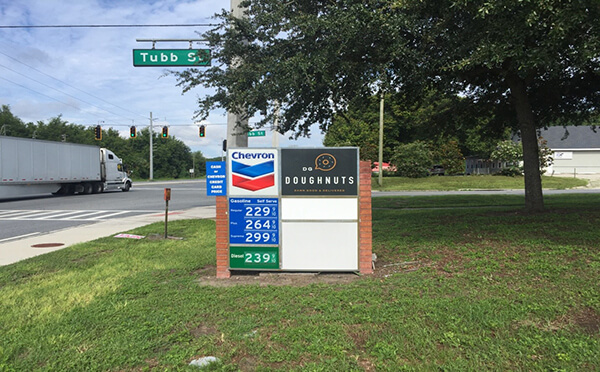 We used the logo and letters the business uses on its Facebook Page to create two exterior signs that were put up facing east and west beside Tubb Street. 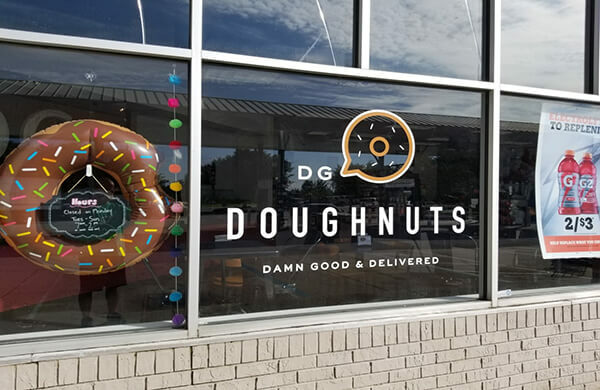 Our window graphics were created with an eye on making the neighborhood take notice this little doughnut shop and even make the passer-by interested in stepping in, tempted by the clearly visible sign that read “DG Doughnuts – Damn Good and Delivered”. With its smart positioning and attractive styling, the window graphics were custom-designed to build invaluable brand recognition and turn heads. 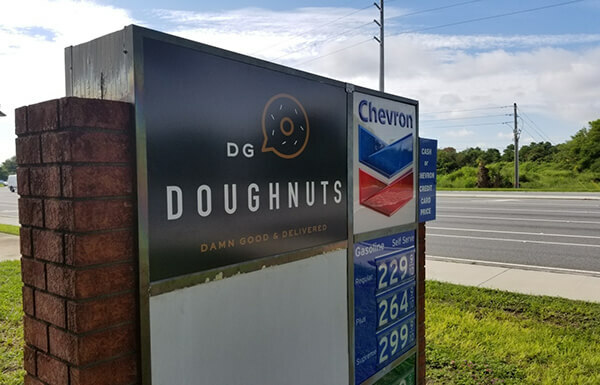 For the store menus to be displayed externally, our aim was to promote DG Doughnuts’ specific menu in an aesthetic manner that would enhance the brand, appear appetizing and even help encourage cross-selling of some items (like fritters and bars). 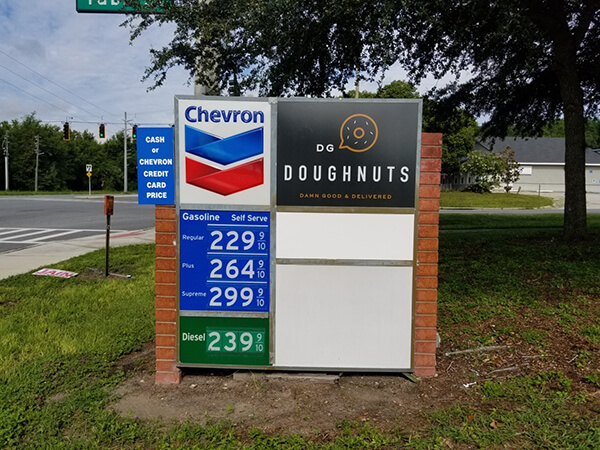 We designed our exterior signage for the store menu to meet all these objectives, which we believe would act as a powerful point of purchase sign and encourage potential customers to make purchase decisions.